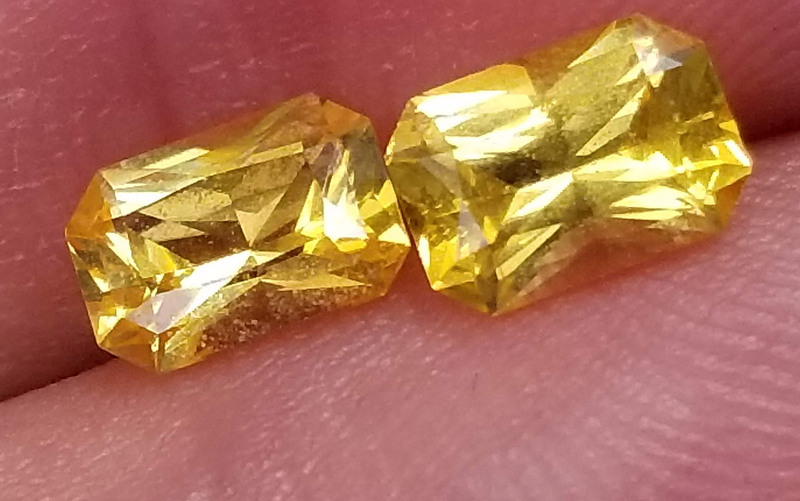 Striking pair of Ceylon Yellow Emerald Cut Sapphires 6.5×4.5mm. 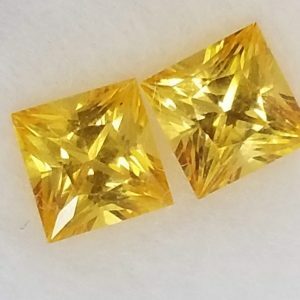 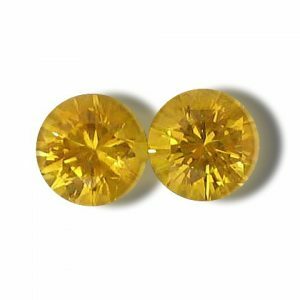 Lemony yellow color with a lovely luster and brilliance.Price listed is for the matched pair. 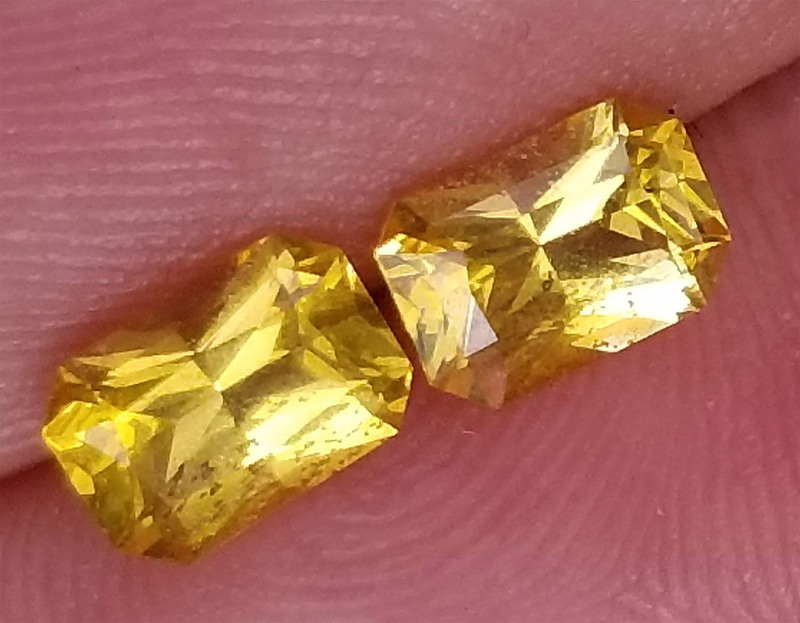 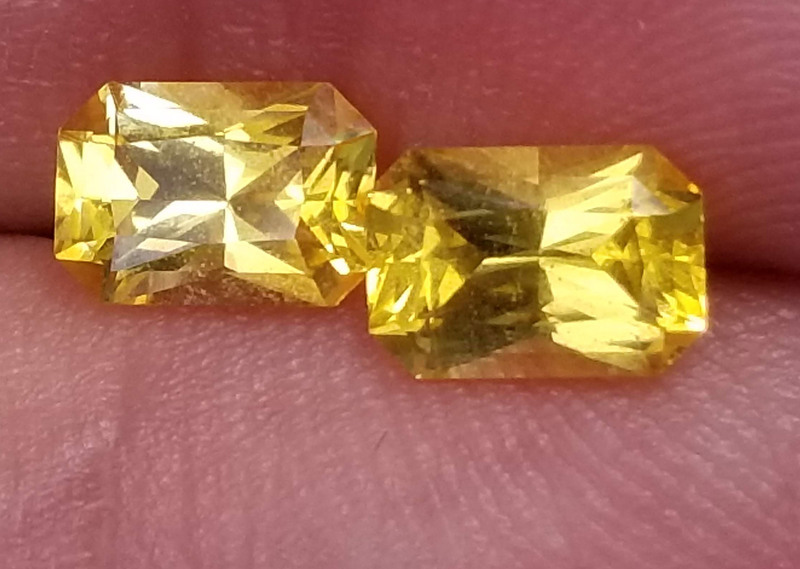 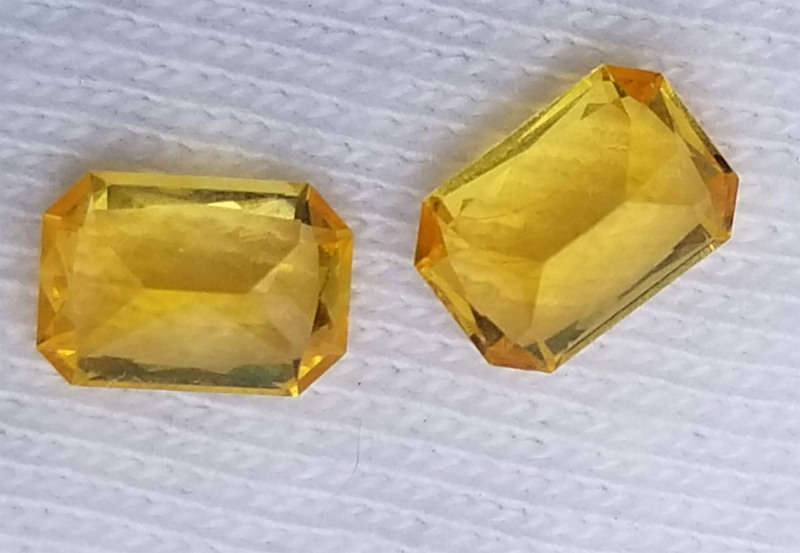 Guaranteed you won’t find a better price for bright yellow emerald cut pair of sapphires in this size (and none of our sapphires use that cheesy Berylium heat to alter the color).